Perfect football conditions greeted the AFL NSW/ACT Under-17s Rams for their match against tournament hosts, Queensland at Southport today. The Rams got off to a flyer kicking the opening goal within the first few minutes as the Rams laid on the pressure. 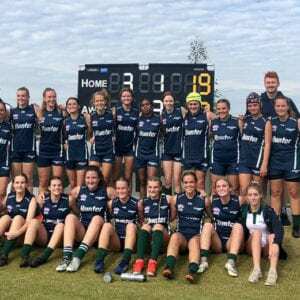 While Queensland struggled in the opening stages of the game, they managed to claw back a two-goal lead to the Rams, to be just one-point down at the first break. 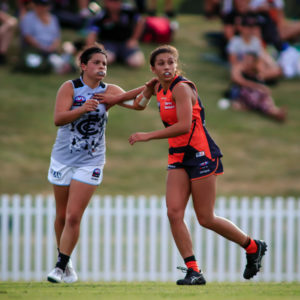 An injury to Queensland halted play early in the second quarter, which would inspire the home side to the first goal of the term. Things remained even for the majority of the quarter, until an unlucky push in the back decision gifted Queensland a goal from right in front. The Rams were desperate in defence, leaping at every ball as the Queenslander’s continued with a winning lead. 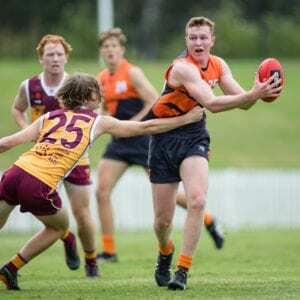 The Rams had an opportunity to steady the ship through Gungahlin’s Matthew McGory, but it would go wide, as the Rams went into the sheds at a 17-point deficit. After a half-time rev up from coaching staff, the Rams opened up scoring in the third-quarter. Coolamon’s Liam Delahunty got his first for the day after early pressure from the blue and gold. There was plenty of congestion early on in the third, but a penalty to the Rams would see them clear it forward. Quick play and a kick over the heads of defenders, saw Matt Kannan kick AFL NSW/ACT’s second for the term. Coaches pleaded for energy at half-time and the Rams were supplying it. Hamish Ellam had a chance to goal late in the term to put the Rams in front, but the Sherrin went left. To make matters worse, Queensland were able to respond quickly with a goal, quelling the Rams energetic run. Our old foes began the last quarter with gusto, applying two goals when the Rams turned slow. After a Queensland onslaught where they kicked away to an aggressive lead, Noah Casalini kicked true late in the quarter. It would not be enough for the Under-17s Rams, going down by 32 points. The Swans Academy’s Jackson Barling led the disposal count for the Rams with 23, while Josh Rayner followed with 16 of his own. 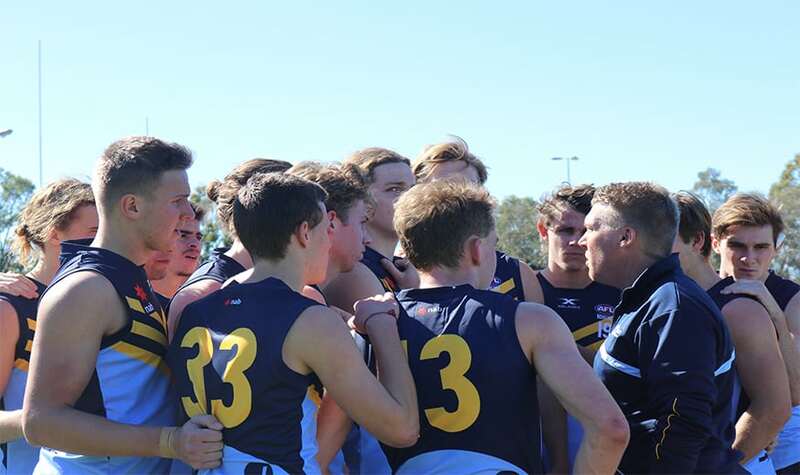 Under-17s Head Coach, Tim Schmidt said it was a disappointing day for the team. “I thought we started the game really well and really positively,” said Schmidt.